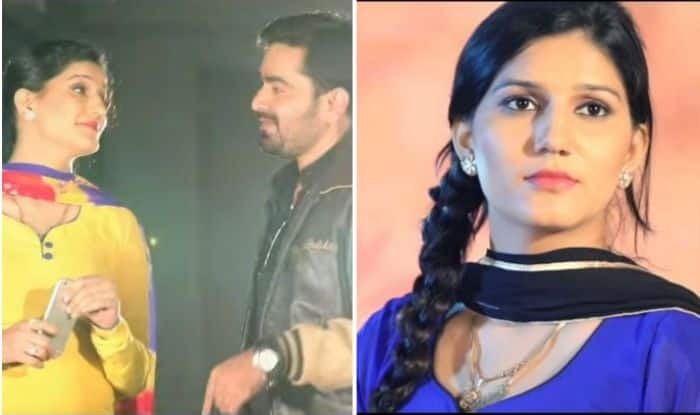 Haryana’s hot dancer, Sapna Choudhary is on a roll nowadays with her Bollywood film receiving positive reviews and her back-to-back music videos that are trending on YouTube. Now, her new Haryanvi song titled ‘Hostel Girl’ has been released by Sonotek Music and in just a few days the video has received more than four lakh views. The song is trending on YouTube charts. In the video, Sapna is being featured as a hostel girl and Vicky Kajla is trying to woo her. The nakhres and expressions of Sapna will once again make you fall for her. In the song, she also flaunts her latke-jhatke and it will make you watch the song on a loop. Dressed in beautiful ethnic outfits, she looked graceful, as always. The song is crooned by Masoom Sharma and AK Jatti and the lyrics have been penned down by Raju Gudha. The music is composed by Boota Singh. Sapna was already popular in Haryana. She became a household name after her stint in Bigg Boss 11. The lady was loved for her straightforward nature. In fact, she impressed everybody with her impeccable dancing skills. Though she couldn’t win the show but she captured many hearts. On the work front, Dosti Ke Side Effectss marks Sapna’s acting debut in Bollywood. The film also stars Vikrant Anand, Zuber K Khan, Anju Jadhav, Neel Motwani and Sai Bhallal. In it, Sapna will be seen playing the role of a cop. The trailer received a positive response from the cinema lovers. The lady won hearts with her desi swag and action. In fact, the songs of the film like ‘Tring Tring’ and ‘Mood Bana Lo’ are also garnering love on YouTube.